Yes, the volcano is one of them. A new set of weekly Battle Pass challenges has hit Fortnite: Battle Royale. 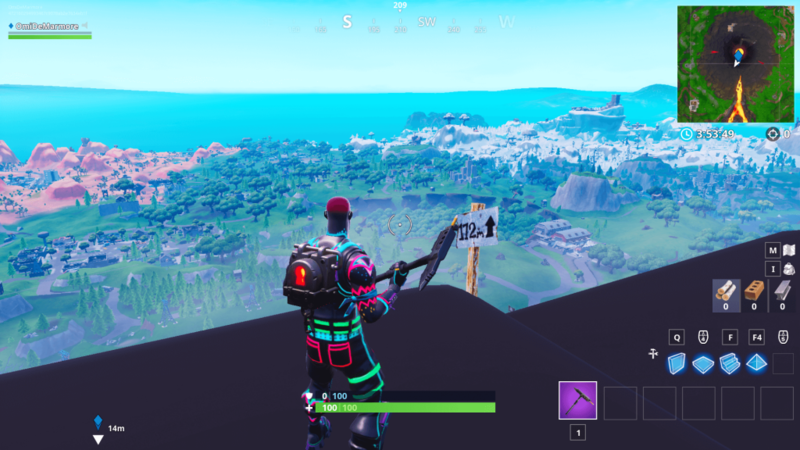 One asks players to visit the five highest elevations in the Fortnite island to get a few Battle Stars and get closer to that tier 100 Battle Pass. Players should be able to complete this challenge in any standard or Limited Time game mode, including those with respawn enabled like Team Rumble. Playground is the only exception. Players have to be in front of a small wooden sign that shows the elevation of that are to progress through the challenge. Just landing in the surroundings won’t count. Finding some of the highest elevations in Fortnite is intuitive at first. 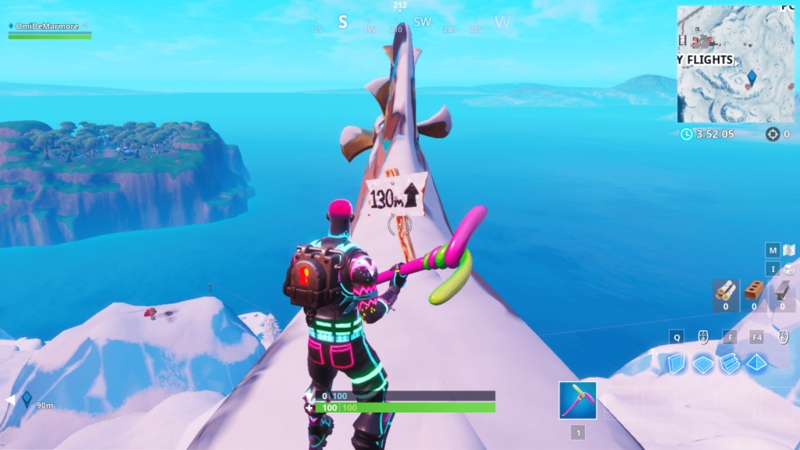 There’s an enormous volcano northeast of the island and a named location that’s literally called Polar Peak. These two are the highest ones, but finding the other three might be tricky. 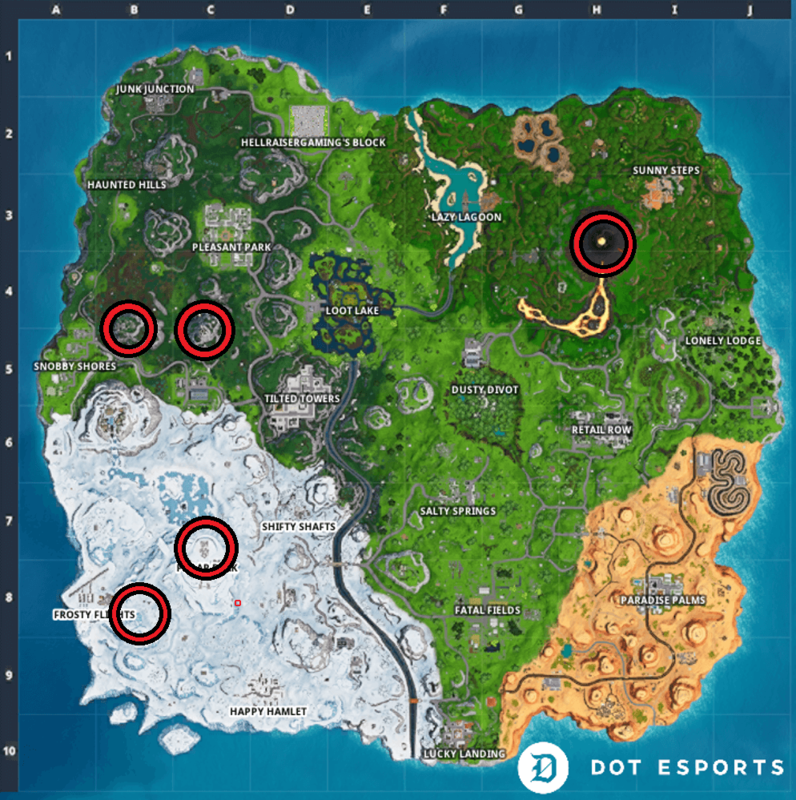 Here’s the map with the five highest elevations in Fortnite. You can visit them in any order you want. You can find below the detailed location of each sign on these areas. Most people would guess that the volcano is the highest elevation in the game. They’re right. You have to go all the way to the summit and check the sign to the south. It’s no coincidence that this area has “peak” in its name. 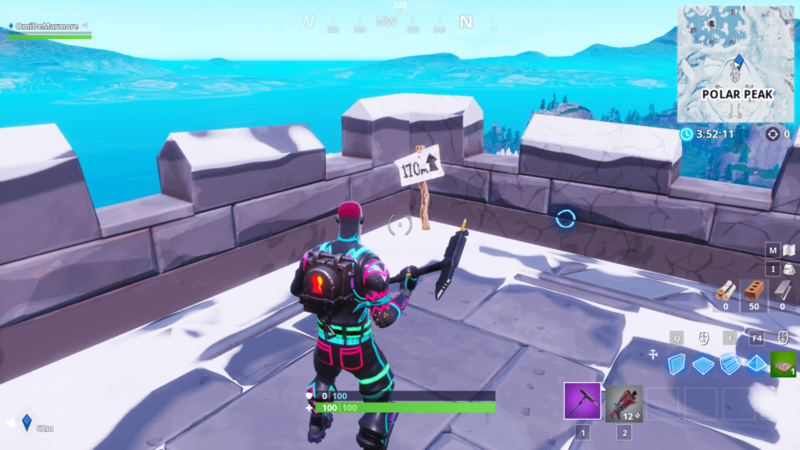 Go to the ceiling of the castle north of Polar Peak and you should see this small sign to the west. A submarine stuck on the summit of a mountain southeast of Frosty Flights is the third highest elevation on the map. You’ll have an easier time getting there if you land on it instead of building toward it. 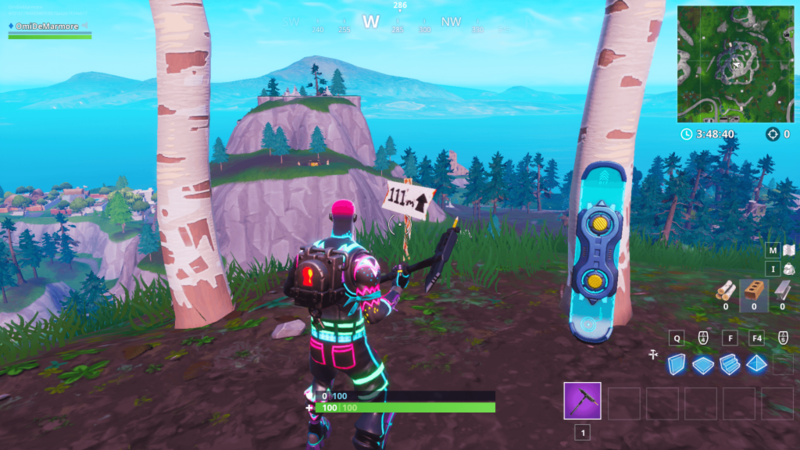 This mountain south of Pleasant Park used to have Shopping Carts for players to drive down a ramp and fly a short distance. It’s the fourth-highest elevation in Fortnite. A mountain northeast of Snobby Shores is the fifth-highest elevation in the game. 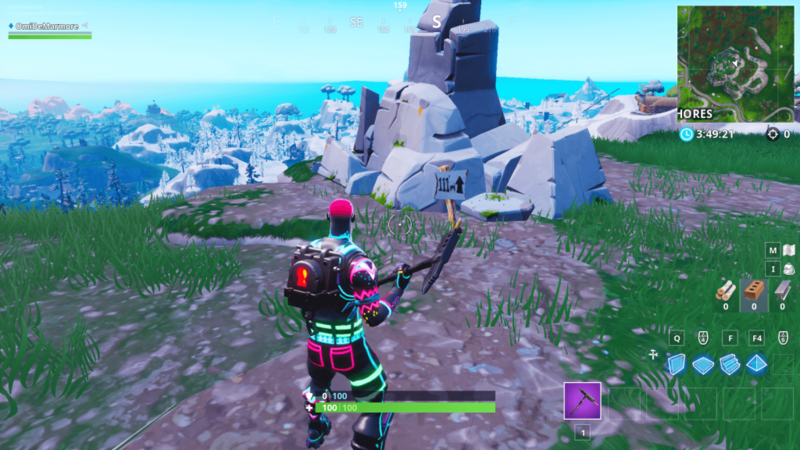 Players can go there and find the sign near a rock to complete the challenge.